I’ve always been one of those people who have to look the part. It might be an iPad2, a top of the range notebook, or the very latest DSLR. Those little envious sideway glances from people aspiring to own one but can’t for whatever reason, are the very things I live for. Photographers are the worst of the lot though. Just get a few of them in a room together and they can’t wait to compare notes. 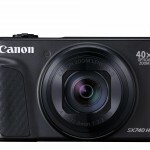 So how does a Canon PowerShot SX280 HS stack up? I’ve always had a trusted DSLR and for me, it looks the part. Reasonable bulky, a decent lens and a strap and it’ll pass muster as belonging to someone who knows how to take a snap or two. Compacts though are a different matter entirely. They use technology that can produce some damn fine pictures; the trouble is, can they look professional enough? 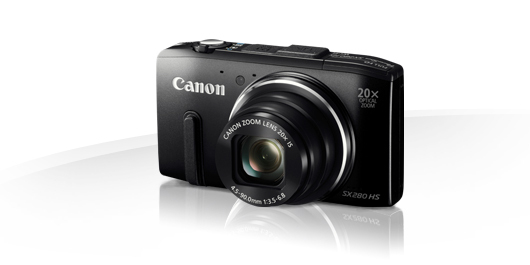 The Canon Powershot SX280 HS may be on the small side, but it certainly packs a punch with a wide range of 12.1 megapixel shooting options and 1080 HD video recording up to 60 fps too. 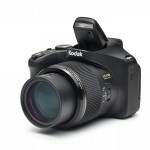 It has a 3 inch full colour LCD screen, and a neat combination of buttons and dials that hide a plethora of features. For a start, the camera gives you a whopping 20 x optical zoom, (equivalent to a focal length of 28-560 mm) the lens popping out a good four inches from its housing, which conveniently retracts automatically when you turn the camera off. The advanced DIGIC 6 processing and a high sensitivity 12.1 Megapixel CMOS sensor give pretty good image quality in most situations with up to ISO 6400. Serious photographers will be delighted to see the Powershot SX280 has a full range of manual controls available to use as well as the more popular automated formats leisure consumers crave. 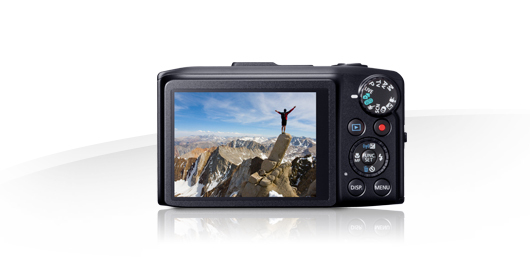 Simply selecting the EASY mode will let you just point and shoot with the camera’s intelligent auto system selecting the best possible option for you. There are though a number of semi auto scene modes built in too such as ‘kids and pets,’ ‘landscapes’ or ‘smart shutter’, whilst the built in face and smile detection will zero in on subjects it thinks you want to be the focal point of your picture. The detection can recognize up to 35 faces in a frame, whilst the Face Self Timer allows you to join those faces before the shutter fires. Perfect for all those selfies you might want to shoot! The feature that has stood the test of time for me however is the built in GPS. This identifies where you are in the world and automatically labels your pictures accordingly. Be careful though, using the GPS function is likely to drain the battery life pretty quickly. There is also built in wi fi connectivity which you get on most models these days to allow you the luxury of backing up pictures to another drive or pairing with a smart TV perhaps. The one annoying aspect on previous models for me was the flash housing popping up each time I turned the camera on. Thankfully Canon has seen the light and this is now a thing of the past. I was really impressed with the SX280. 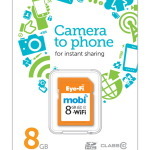 It gave me some great quality pictures and video without causing me too much concern; it was compatible with my standard memory card, and although the on screen menus were a little clumsy to navigate though, I got the hang of them in the end. The Canon SX280 is certainly a lot smaller than my DSLR and though using it I felt more like a tourist than a professional photographer, the end results certainly gave my DSLR a run for its money.